How to watermark an image by time settings? Which is the easiest watermark image software? It sounds professional when we mention watermark images. However it is a real easy job if you use image watermark software. By excellent software, it is just a piece of cake to add watermark to image or to videos. 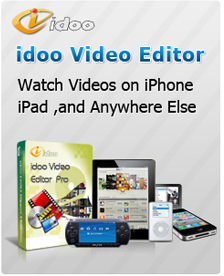 idoo Video Editor is just the easiest watermark images software. The isolated watermark function is distinguished from most similar software. Meanwhile, the easy operation enables users, even beginners, to watermark the videos without any difficulties. It is not difficult to add a watermark to video, but how about to add more than one? If we want to add text or image watermarks in different scenes, and also avoid overlap, what shall we do? 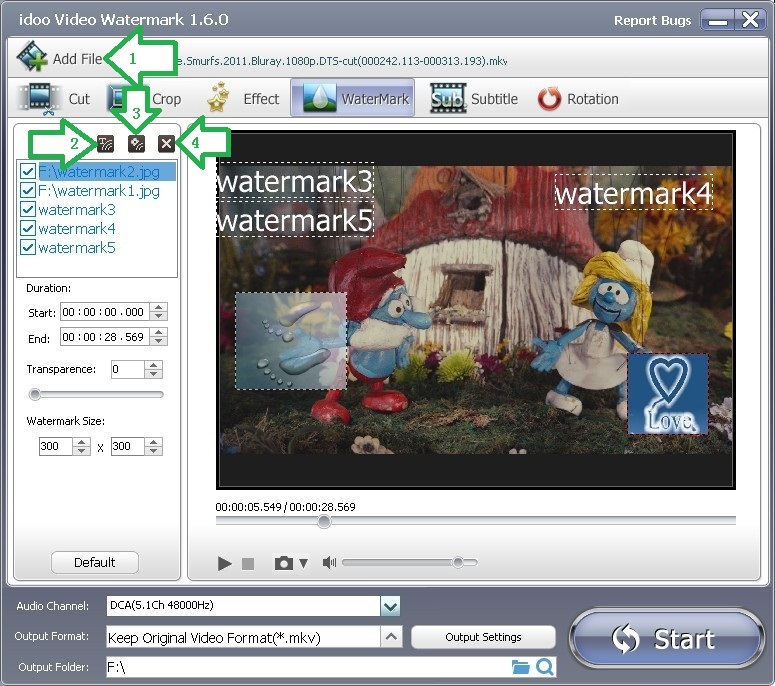 The watermark function of idoo Video Editor can set the duration of watermark easily, with millisecond precision. And theoretically speaking, it may add unlimited number of watermarks, and the start and end time for each one can be set precisely. The following part will show you how to set the duration of watermarks. 2. You may add text watermark (Arrow2), add picture watermark (Arrow3) or delete selected watermark (Arrow4). As showed in the right preview box, there are 3 text watermarks and 2 image watermarks. 3. By dragging watermarks in preview box, you may decide their positions, even at the same position (Arrow6&7). 4. Click the relative information in the box (Arrow5) and then edit the selected one. 5. You may preview the video by dragging the time slider (Arrow9), by which also to set the precise start and end time of the watermark. 6. The start and end time can also be set in Duration box (Arrow8) by inputting the figures, with millisecond precision. 7. You may set duration for each watermark in the same way. 8. Click “Start” (Arrow20) to begin editing. Then to check the output file or edit it.